Hello readers, here at FastKlean Cleaning Company we are very excited to learn that we have become approved suppliers for Westminster Council. This means we can expect a great deal of work every month, such as after builders cleaning. For a while we have been doing everything necessary to win their approval, such as providing certificates for Health & Safety as well as other qualifications to prove we are the best cleaning company for the work they will provide. The first major project we have gained since becoming approved suppliers is after builders cleaning for fifteen properties in Central London, including newly built flats and other residential buildings in the region. Our after builders cleaning experts will be responsible for clearing out all the settled dust and debris that accumulates during the construction process, as well as give the brand new properties a first class sparkle once the builders have packed their tools for the last time and vacated the premises. It is incredibly heart lifting to know that there will be steady work for a lot of our contract cleaners in the near future, especially as the country faces further tough financial times. Our highly-skilled and experienced after builders cleaning specialists have played a big role in getting new residential and commercial buildings spotless and ready for use by the public. The most recent noteworthy project was the evening before the grand opening of Westfield shopping centre in Stratford, where our contract cleaners had to work late in the night to get one of the stores prepared for their first day of business. Our cleaning company uses the very best tools and most effective cleaning products available on the market for carrying out their after builders cleaning work, and they only employ the most efficient contract cleaners for the job. 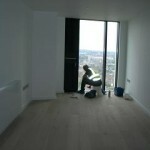 We provide a wide range of cleaning services in all London areas. For after builders cleaning Westminster call 020 8884 9149 for a free quote or to arrange a site meeting with one of our representatives. Take action yourself or depend on a specialist in carpet cleaning Cambridge?